Supergirl is back and it's on the CW! 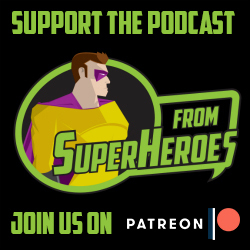 This week on the podcast we're talking about the premiere of Supergirl, can we notice the network change (we can), what has changed, what do we think of the new Superman, and did Cat Grant really have that resume the whole time (NO SHE DID NOT!). SPOILER WARNING: This episode contains talk about the plot of Season 2, Episode 1 of Supergirl and references to the general plot of Season 1. Come back next week, we'll be talking about Marvel's Agents of SHIELD.